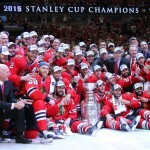 In recent years odds-makers have favored the Chicago Blackhawks, rightfully so, considering this original six franchise has formed what many hockey fans consider a modern-day dynasty, with two Stanley cups in four years. Having said this, it should come as a surprise to nobody that the Blackhawks were favored to win this season. 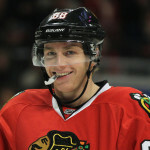 the chances of that happening took a dramatic hit when superstar Patrick Kane went crashing into the boards. 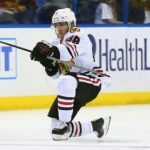 Late Wednesday night, in an official statement from the organization the hockey world found out Kane will be missing 12 weeks of action, as he requires surgery to repair a left clavicle fracture. 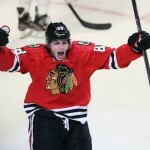 Patrick Kane was time for the National Hockey League lead in points with 64 through 61 games played. 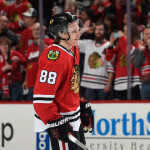 While this injury affects the immediate future in Chicago in terms of chance to win a Stanley Cup in 2015. 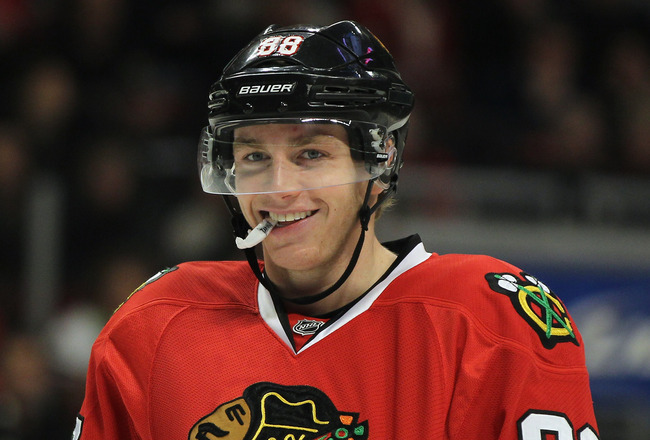 I for one, hope this injury does not have any long-term effects on Kane’s abilities throughout his career, because he is one of my favorite players to watch, and a fan favorite throughout the entire NHL.